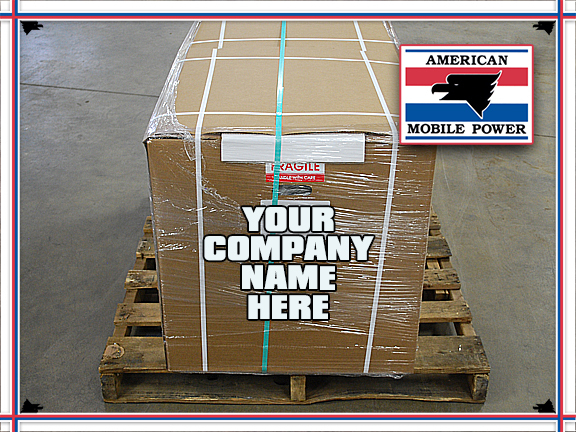 Other Products are directly pallet-loaded for shipment. 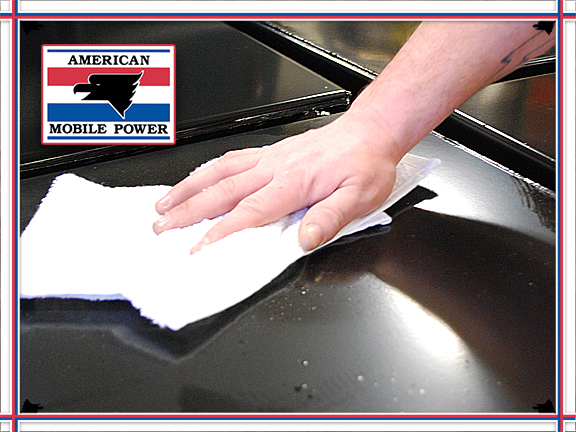 Once all the parts are installed, every product is throughly cleaned to remove any dust or debris that remains. 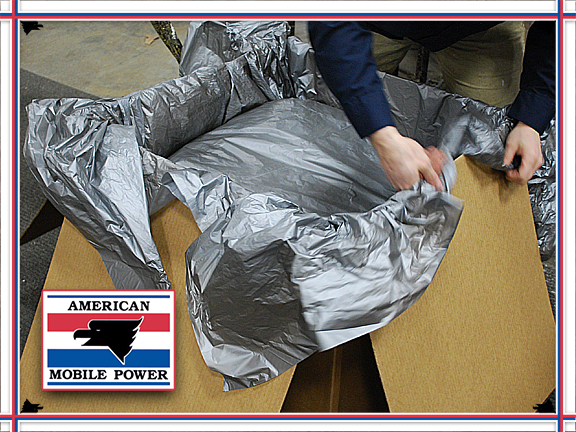 After cleaning, tanks are placed inside of a box containing a plastic bag to avoid “cardboard rub” or any other surface scratches that might occur during transport. 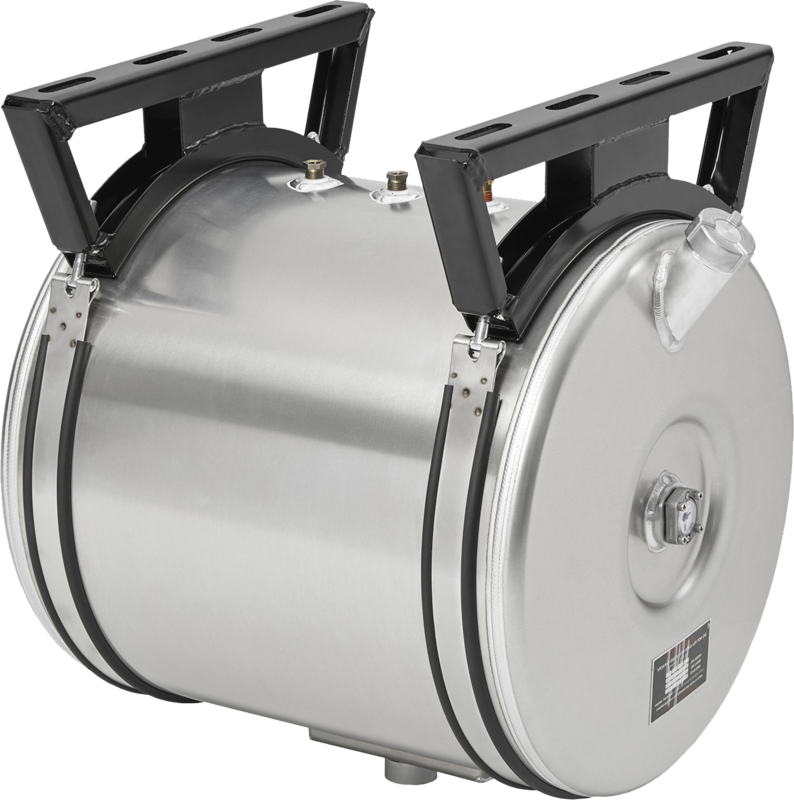 The tank bags are wrapped tightly around the tank. It is after this step that additional accessory boxes are dropped in. 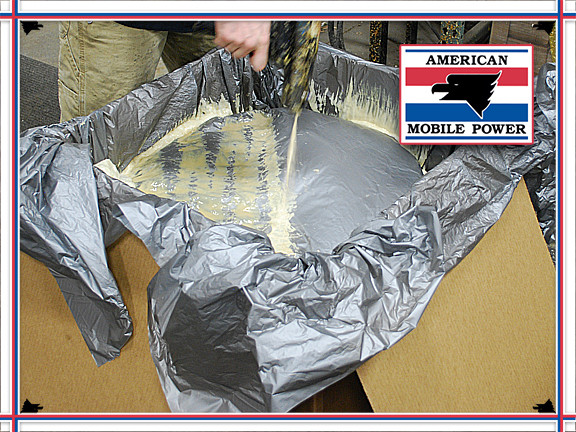 Once the product and accessories are in the same box, a thin sheet of film is placed around the tank to prep it for foaming. 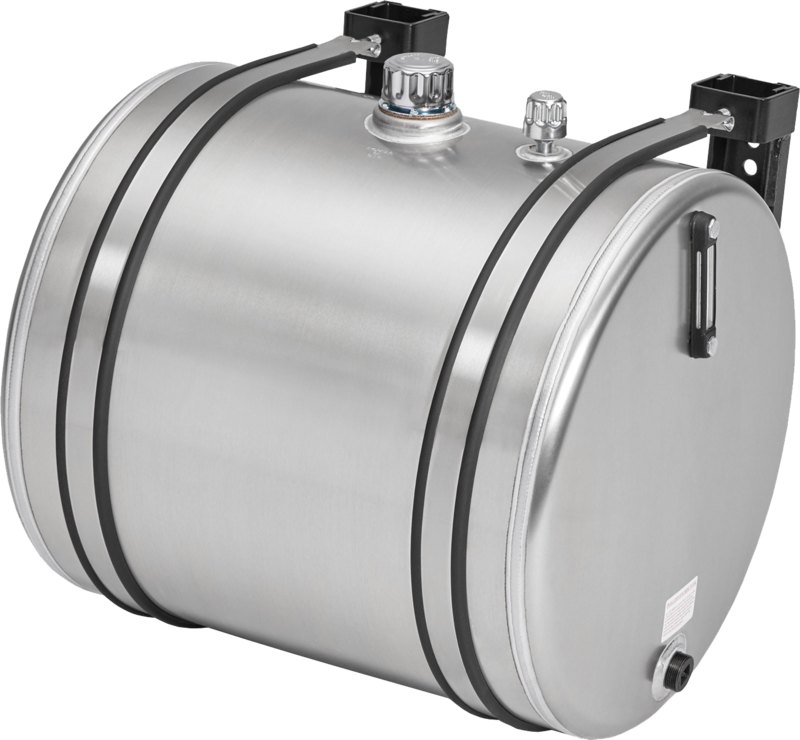 Spray foam is applied liberally around the tank to prevent movement inside of the package and/or any damage that may occur while in transit. 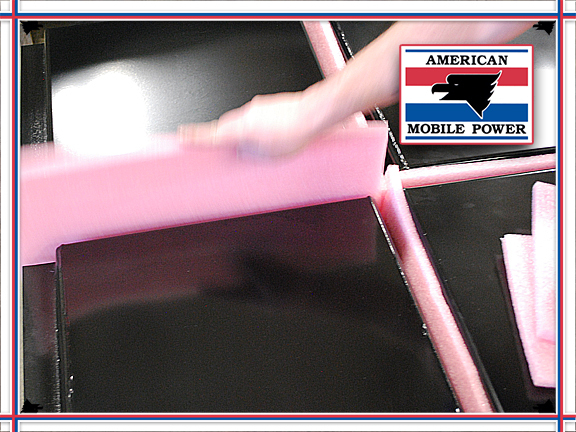 Once the foam process is complete, the box is closed and then strapped and/or glued. 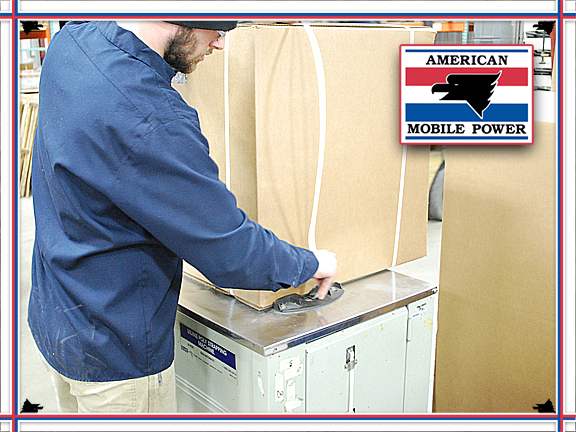 This step ensures that boxes do not open during transport. After strapping, boxes are stacked onto pallets according to order and banded down. 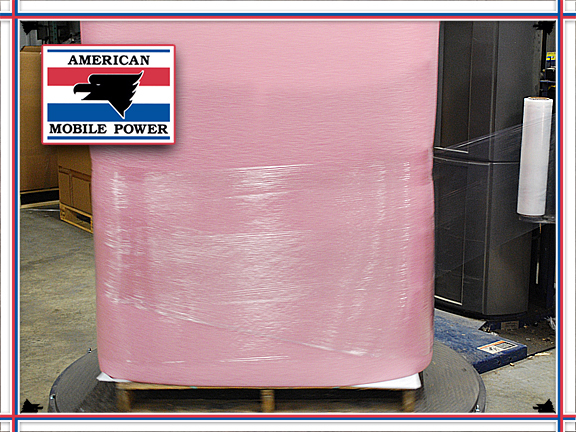 The final step is to place the finished pallet on the wrapper to secure the freight for shipment. 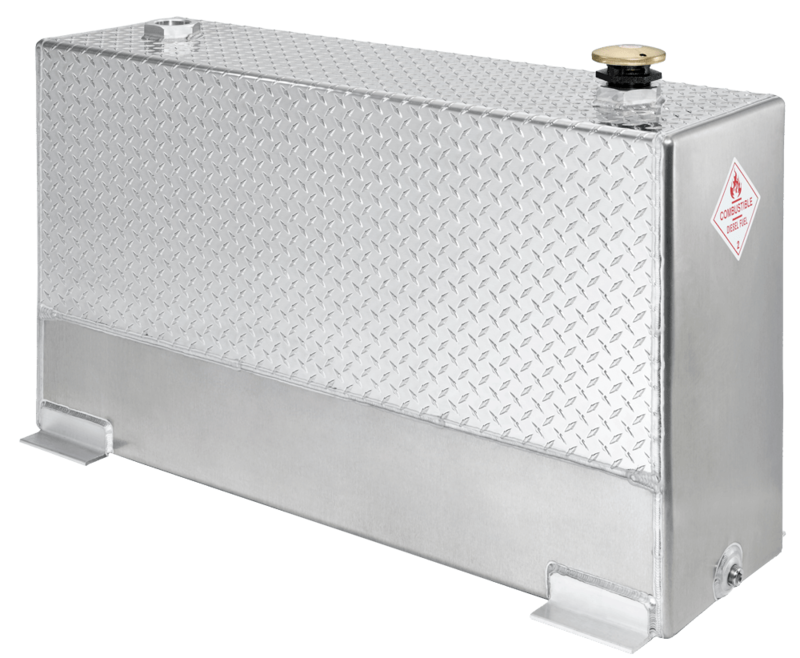 Tanks that are too big or awkward to be packed in a box are pallet-loaded. 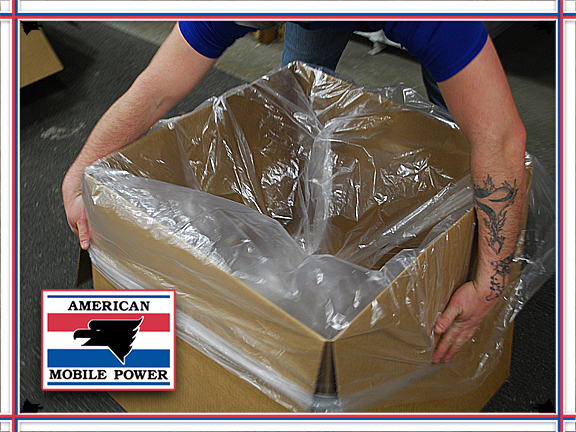 Special care is used with this packaging process to prevent damage or contamination during shipment. 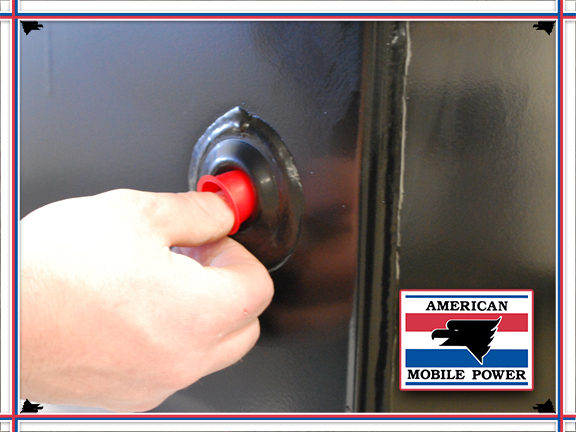 Next, any remaining open ports are plugged with plastic cap plugs to prevent contamination. 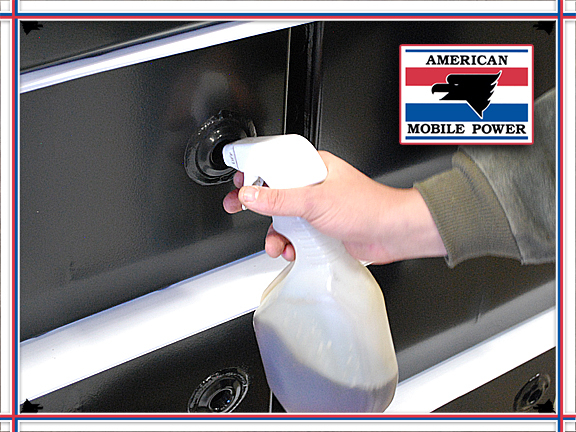 Once all open ports have been plugged, tanks are throughly cleaned to remove any dust or debris that remains. 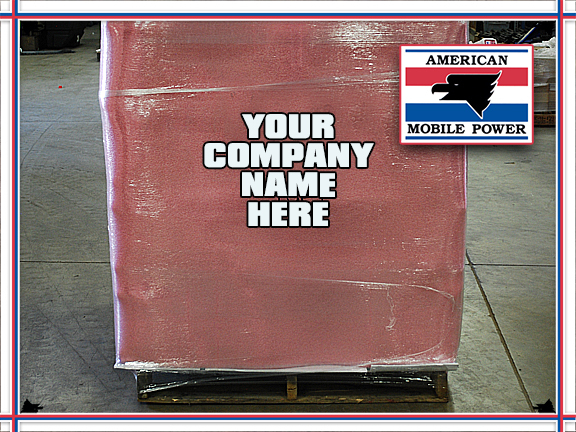 A sheet of thick plastic or cardboard is placed on an empty pallet and the tanks are stacked neatly on top. 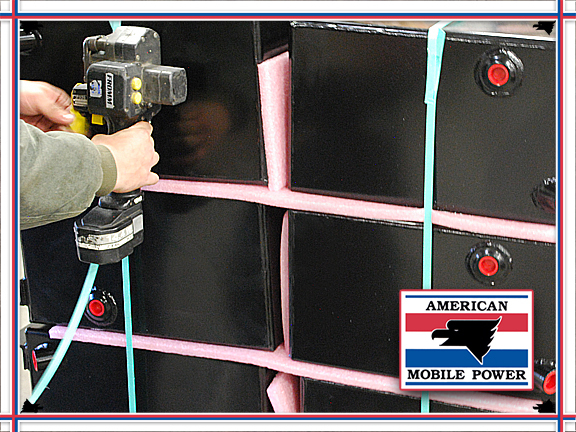 A Styrofoam sheet is cut to size and placed in between tanks during the stacking process. Styrofoam is packed and layered so that tanks do not rub and/or scratch if/when they come into contact with another tank. 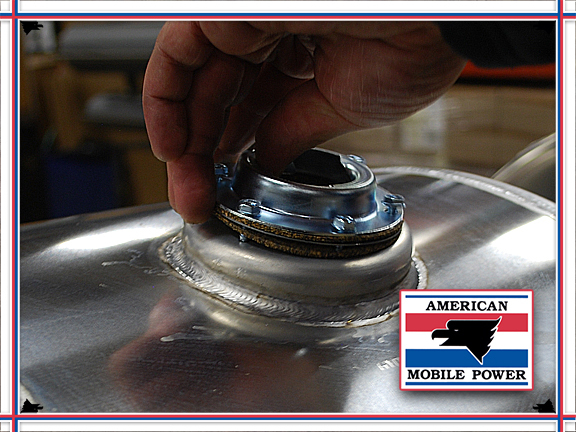 Special attention is paid to ensure there is no “metal on metal” during this process. After the tanks are stacked, they are banded down to the pallet. 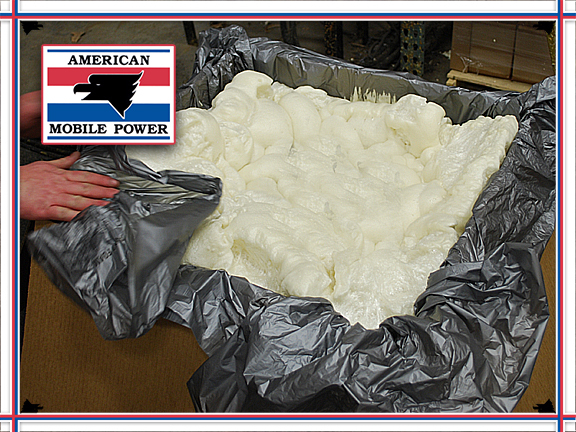 A sheet of Styrofoam is cut to size and wrapped around the outer perimeter of the product. 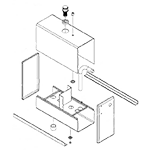 ²On pallet-loaded tanks, parts are often packed in a separate box to avoid damage during shipment. 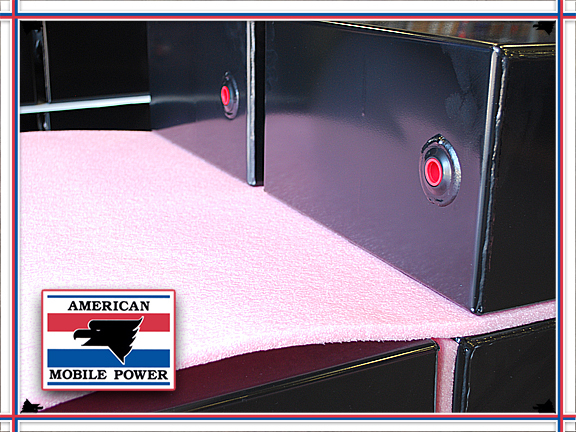 American Mobile Power is constantly striving for modernization and better process flow. 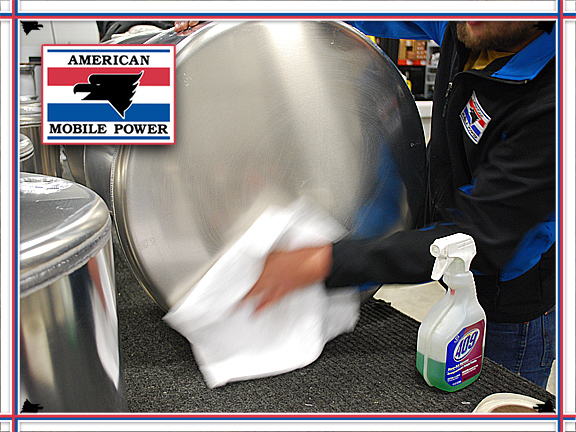 We continually add new/better equipment to increase output and improve quality. We are actively developing new solutions to improve our team and to satisfy our customer's needs, this allows us to stay competitive and adds value to our team and customers.